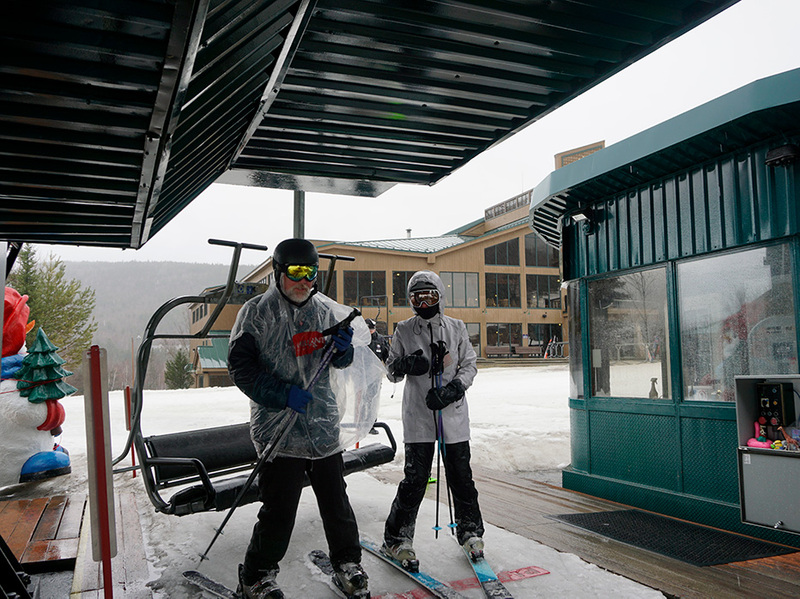 Join us in the Gazebo in front of the Bretton Woods Base Lodge for a Warren Miller Pre-Show Party. Get your tickets for Warren Miller’s 69th annual feature film “Face of Winter” (cash only), enjoy some hot cocoa and get amped for the start of the movie. We will also be handing out information on the film and other special offers so bundle up and come on down! Come early to this year’s Warren Miller movie to pick out the perfect seat. Will call tickets will be available at 6:00pm at the Guest Services Desk on the Main Floor of the Bretton Woods Ski Area Base Lodge. Tickets are available for purchase the evening of the event. The Slopeside Pub will be open with a full bar along with a select menu of delicious eats. Volkswagen Presents Warren Miller’s "Face of Winter"
Loving the pure joy of winter is something we have in common with the late, great Warren Miller - who helped create and capture the magic of skiing. This year, "Face of Winter", the 69th installment from Warren Miller Entertainment presented by Volkswagen, will bring new and veteran athletes alike together to pay tribute to the man who started it all. Come along to far off regions, meet the locals, carve faces of remote mountain ranges and celebrate the thrills of a life lived in high places. Join us in the tribute and continue the legacy. We are all the "Face of Winter". Check out the official Warren Miller website for more information. Don’t forget about all the great prizes from our sponsor; Treetop Sports, up for grabs! Tickets will be available for purchase at the Guest Services Desk in the Bretton Woods Base Lodge and at the Warren Miller Pre-Show Party (cash only). Tickets are $15 for ages 13 and up, $10 for Resort Guests, $5 for children aged 4-12. Each ticket purchased receives one raffle ticket for prizes to be awarded during the screening. Additional raffle tickets may be purchased; 3 tickets for $5.00 or an arm length for $10.00. * Complimentary ski tickets issued ONLY with ticket purchase and movie entry November 23. NO exceptions. Movie ‘no shows’ are NOT eligible receive complimentary ski ticket. Other restrictions apply. Enjoy the views off the Slopeside deck, as you enjoy our annual Homecoming “Welcome Back” Barbeque. Don’t forget to stick around for the live entertainment and annual Homecoming Brew Tasting! Take this opportunity to learn about our exciting High Performance Rental program, parking privileges, seasonal programs and what this season has in store for you! Fees Apply. Take advantage of a free 10-minute climbing session for our 2017-2018 season pass holders. Try out our Slopeside Climbing Wall, located on the Slopeside level of the Base Lodge. Test your rock climbing skills on the 24’ tall artificial rock wall. Climbing shoes are available to rent. Participants must fit safely in the harness. Continue the pre-season stoke at our annual Homecoming Brew Fest, featuring a few of our favorite Northern New England breweries. You must be 21 years old or older to participate. Tasting ends at 5pm and raffle begins at 5:30pm. *First 100 participants will receive the 45th Anniversary Edition Homecoming Pint Glass. Register online in advanced to guarantee this special offer!